When you’re tall, finding outerwear that truly fits can be a challenge. From maxi coats that aren’t quite long enough, to tapered waists that land at the ribcage, to sleeve lengths that don’t hit your wrists, bundling up (in a fashionable way) can be tough! Here to solve these fashion woes for tall women is Long Tall Sally. 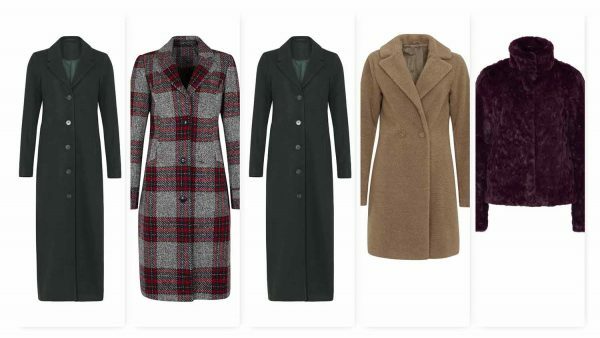 Each and every coat is designed from start to finish with a tall figure in mind. Long Tall Sally’s outerwear offers longer arm lengths, waists lowered for a longer torso, coat length adjusted for a tall woman, and more. Twill Maxi Coat ($319) – Great weight twill meets beautiful button cuff details in this tall maxi coat of dreams. Sure, it’ll keep you snug and stylish but it’ll also pull your whole look together. It has a carefully placed back vent too – for ease of movement. Check City Coat ($269) – This cold-weather city coat is an instant outfit-maker: easy check, invisible pockets, tab sleeve detail and full lining with contrast binding. A gorgeous weight, perfect for walking to work or wearing with jeans. Midi Coat with Detachable Faux Fur Collar ($299) – We love a classic black coat as much as everyone else (if not more) but we also know you can’t beat a great alternative. With a gorgeous blackcurrant tone and detachable faux fur collar, this tall-fit belted midi is the ultimate outerwear update. Which way will you wear it first? Teddy Bear Coat ($219) – There’s no denying the teddy coat is the coat of the season: the style set are all wearing it. Super cozy – without being bulky – and surprisingly chic, this snuggly hero checks off every tall woman’s winter needs. Textured Faux Fur Jacket ($219) – Turn heads with our rich burgundy jacket. Fully lined with hook and eye fastenings, this faux fur piece will take your party outfit from a 6 to a 10 – and keep you snug too. We’re wearing ours over dresses or jeans (and accessorizing with cocktails).